If a number is divisible by 2 then it is an even number. If a number is not divisible by to it is an odd number. To check even or odd number in c we just need to check that using one if condition. If if condition of number%2 returns true then it is even number other wise it is odd number. 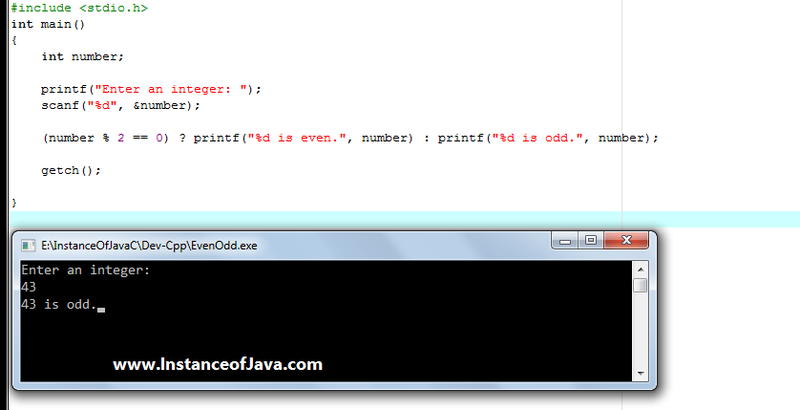 Let us see an example c program to check a given number is even or odd without using any recursive function. Program #1: write a c program to check a number is even or odd without using recursive function.